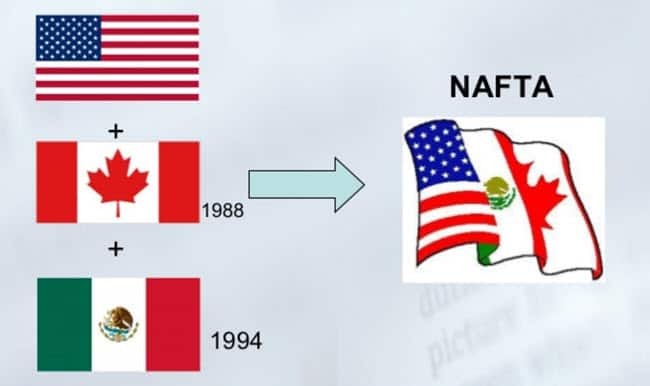 When Donald Trump declared that he would uproot NAFTA and reverse years of a mutually beneficial free trade agreement, he said little of what changes he would make. This created uncertainty for all companies doing business in Mexico and for those considering the possibility of doing business in Mexico. In this NAFTA negotiations update, we will highlight the clues that are leading many to believe that little will change and that NAFTA will remain substantially intact. Although Trump has used inflammatory language to express his dislike of NAFTA, his administration is taking a more cautionary approach as negotiations proceed. Despite the growing fear, this more reasonable approach implies that they will not quickly abandon NAFTA. Still, there is division among administration, as some are pushing a more protectionist stance, while others are in favor of free trade. However, if the government takes a protectionist route, it would severely harm several U.S. industries, especially sugar and gas. Numerous trade issues between the U.S. and Mexico have revolved around the sugar industry, but ramifications of these matters will spread beyond North America and into international trade markets. The management of sugar negotiations will also set the tone for NAFTA negotiations, and highlight the importance of keeping it in place. The bottom line is that if the cost of sugar goes up, it will push out jobs in the food industry. Other manufacturers in the U.S. rely heavily upon sugar, and companies that produce things like candy are already moving manufacturing out of the country to cut costs. It is beneficial for both countries that they come to a fair agreement that allows the sugar industry in each country to thrive. Farms across Mexico employ 450,000 workers during harvest season, and an increase in import taxes on sugar would cost thousands of Mexicans and Americans their jobs. Another industry heavily involved in these negotiations is the natural gas industry. American natural gas powers more than a quarter of Mexico’s electricity. American energy companies are booming because of NAFTA, especially in Texas where fears over changes to the agreement are rising. If negotiations go poorly, it would be disastrous for both sides, resulting in a devastating energy shortage for Mexico and a severe loss of income for American companies. The seriousness of these ramifications has already caused Mexico to look into alternatives in case their energy sources are cut off. However, in the extreme case of a trade war, oil and gas producers in Texas would be the first to fight back. The U.S. production of natural gas far exceeds our demand, and if the U.S. were to lose Mexico, their largest customer, then the gas prices in America would collapse. Similarly, natural gas is a crucial resource for Mexico. It provides energy for their major cities, generating electricity for both citizens and industries. For these reasons, the natural gas trade between Mexico and the U.S. is of vital importance and should continue without restriction for the prosperity of both countries. In this NAFTA negotiations update the evidence presented suggests that the United States would suffer greatly if this pact is broken. The country would lose valuable resources and trading opportunities, as well as credibility with other nations outside of North America. Despite the overwhelming amount of talk against it, the North American Free Trade Agreement is incredibly beneficial for companies in Mexico and the U.S., and in all likelihood will not undergo significant changes anytime soon.